Hmm, not sure about that yet !http://www.smilies.be/v/verwarde/17428.gif! Payment sent for my order. Thanks to you guys for arranging this group buy. Can you take me from the list for now? Because the Q8 will also take some time i can wait a bit longer. Will it be possible to order this next time (February)? There will be NO 4500K 219C higher than Ra8000. At least for the entire 2017 production plan. I’ve asked, checked, and got official confirmation (today). 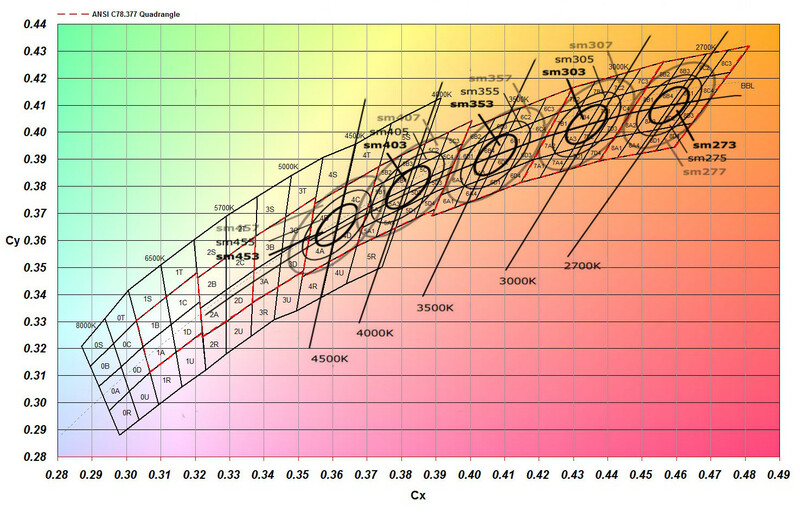 If you really want 9050 4500K Nichia LED, then 219C is not the LED you’re looking for. Try 219B or 144A instead. Ok! No 216C 4500K in sight. Will it be possible to buy the things on this list next time (February)? I had to edit the list. I need 4*219C for the Q8 not 1. Sorry my mistake. “save for later” option? I think so. 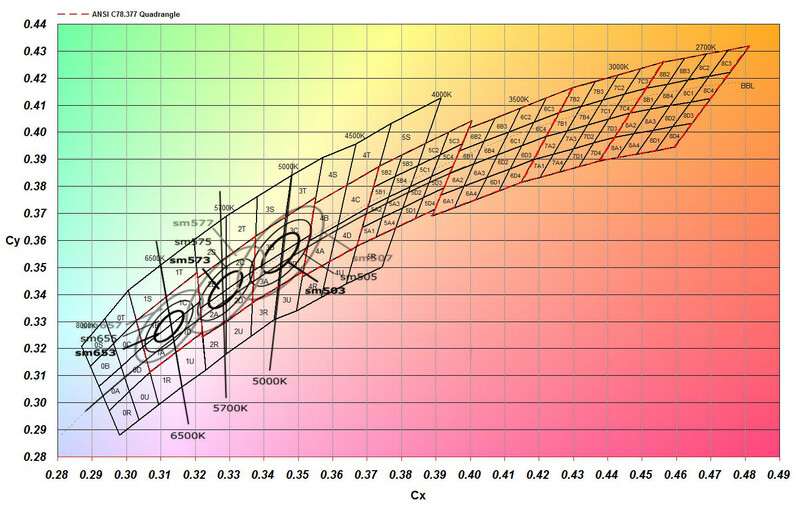 Most of you might know the following chromaticity chart with ANSI quadrangles by CCT and Cree’s binning system. You can click all of the following images for a higher resolution version. Let’s go with the cool bins first. This makes cross referencing Nichia – Cree so much easier. I’ll add links to this post in the OP. Thanks for the overlays chouster, very helpful. For me it all depends if the 3 step macadams is a benefit or not. 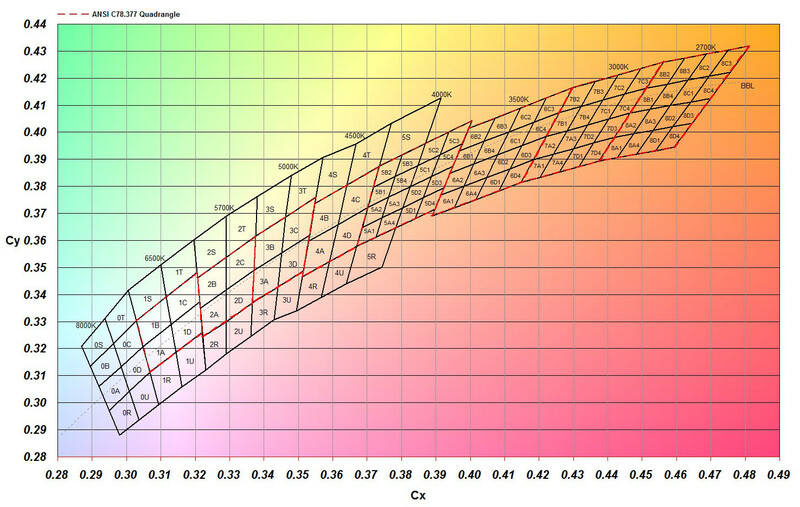 I really prefer the rosy tints so anything in the Cree 4A, 4D, 5,6,7 (A1, A4, D1, D4) section is my choice. It looks like the macadams 5 and 7 step has a chance to land in those areas better than the 3 step but then they could also get up in the green/yellow tint section as well. Thanks for the overlays chouster, very helpful. For me it all depends if the 3 step macadams is a benefit or not. 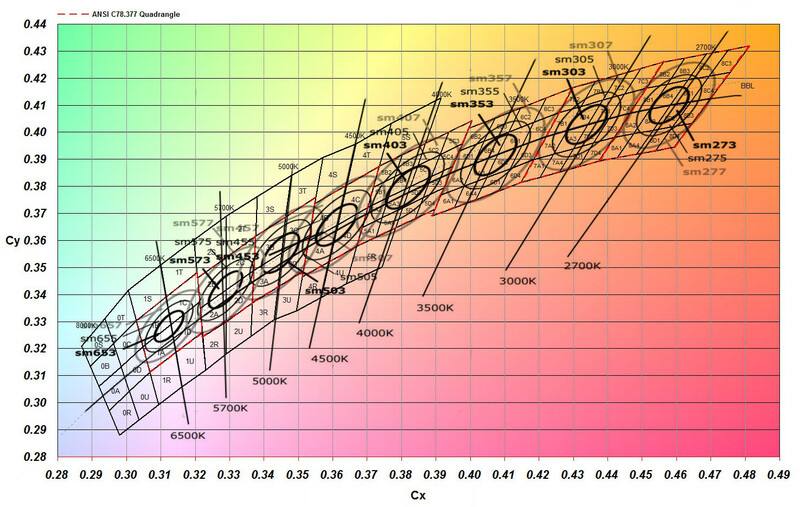 I really prefer the rosy tints so anything in the Cree 4A, 4D, 5,6,7 (A1, A4, D1, D4) section is my choice. It looks like the macadams 5 and 7 step has a chance to land in those areas better than the 3 step but then they could also get up in the green/yellow tint section as well. We to have admit that Cree has a better and much tighter binning system than Nichia. 7 steps for those Las Vegas spirits! We have admit that Cree has a better and much tighter binning system than Nichia. They all seem to have this green thing going on, or probably it’s a lack of red..
I’m very sure it’s accurate. But is it useful or not, that’s a different question. Screening greenish white out off whitish green? I wrote that because i got an XM-L2 5A1 for my Skilhunt H15. But compared to Nichia it still has little red in it, even though these 5A1s are supposedly 80 CRI. And compared to LG 3535 80 CRI 4000K it’s the same thing. Actually those LGs have a lot of red rendering. Same CRI numbers can be totally different in spectrum distribution and richness. I remember Maukka post something about this stuff somewhere in BLF. I’m interested in 3 “219C 9050 sm403”, to Canada. If I understand this thing correctly, I should pay $14.80 to Texas_Ace before the 23rd and will get the LEDs sometime early next year? Added to list and PM inbound with payment details for early shipment. Lol, I’ll put my money on clemence! As there isn’t someone cancelling sm353 to change my reservation , i want to cancel the resercation of the 4x sm403 . OK, please PM Djozz about it. I’ll TRY to bring more of 9050 sm353 219C for you in February. I was able to push some things around So i take 4*219C 9050 sm403 this time. The rest has to wait for the Feb order. Money is send to djozz. Sorry for the mess! Update 161206: All payment for 1st batch delivery received, proceeding to packing and shipment. Oh man, I completely forgot about this. I don’t actually need the emitters quickly so its not a big deal if I don’t get mine quicker, but I definitely still want mine eventually. Did I lose my spot by not going ahead and paying this round?